Notes: Taxonomy follows FNA and Ackerman (1977). 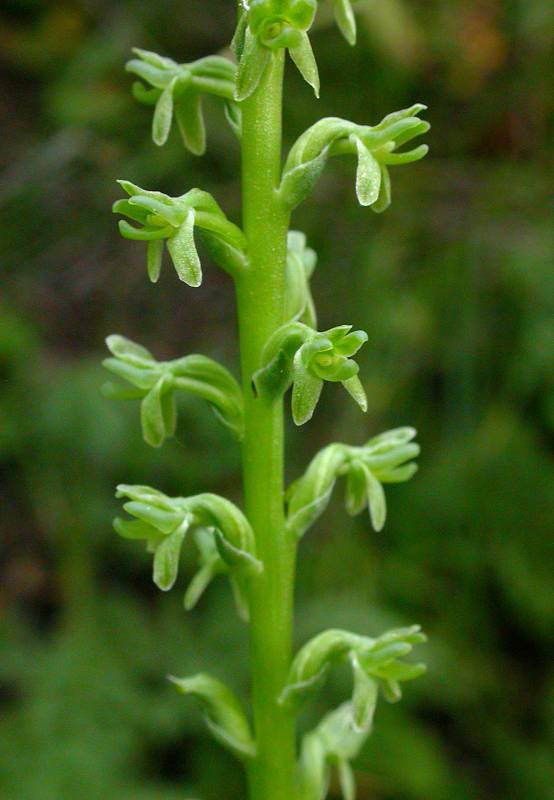 FNA26: "The racemes in Piperia unalascensis are usually slender and sparsely flowered; racemes of uncommon coastal populations (including the type) are short, stout, and densely flowered. Plants of the coast ranges and the Pacific Northwest are stouter and have broader sepals and petals than do interior and montane forms. Two sym-patric forms appear to be in the Sierra Nevada, differing in lip morphology and scent." Platanthera foetida Geyer ex Hook.